Join us for a Tour and Tasting at San Antonia Winery San Antonio Winery was founded in 1917, just two years before the passing of the Volstead Act that began the national ban on the production, importation, transportation and sale of alcoholic beverages that lasted for more than a dozen years. However, during Prohibition, San Antonio Winery was able to flourish as the number one provider of altar wines. The Archdiocese of Los Angeles granted Santo permission to make wines for sacramental and ceremonial purposes. The California wine tradition began with the Franciscan Fathers of the early Spanish Missions. The wine industry quickly became one of Southern California's most economically significant and popular industries. For a time in the late 19th century, Los Angeles was the premier appellation for grape growing and winemaking in all of California. 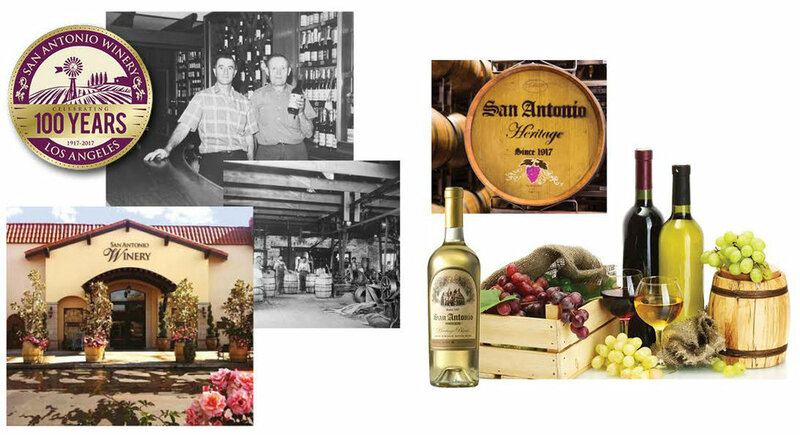 San Antonio Winery remains the oldest producing winery in Los Angeles with over 99 years of winemaking. Still sitting on its original location on Lamar Street, the winery - LA Cultural Monument Number 42 - is the last vestige of the rich winemaking tradition of the greater Los Angeles. We'll tour the historic property and have the opportunity to taste their awarded and family favorite wines, including whites, reds, sparkling, semi-sweet and sweet wines.